The May 2017 Power BI Update brings in a couple of nice new query transforms and some new chart features, but the big changes are still in preview mode. For a cumulative list of all of the updates to Power BI Desktop in the last few months, see this blog. 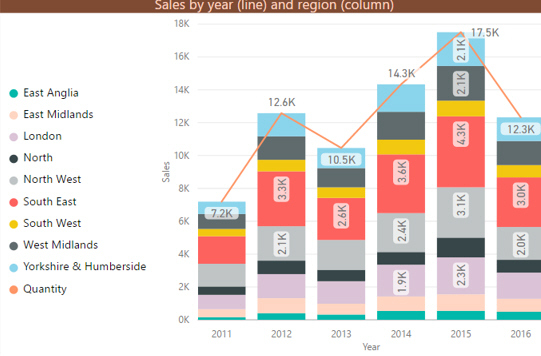 You can now rotate data labels in combination charts, and decide where to position them. 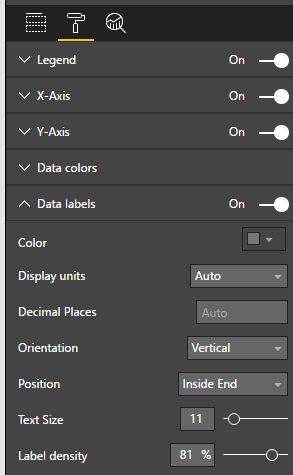 I've changed the orientation of the data labels to vertical, and positioned them inside the end of their areas. Whether this small change justifies a blog page to itself is a moot point!